YHA (England & Wales) has been named as the Best Residential Experience provider for school trips. 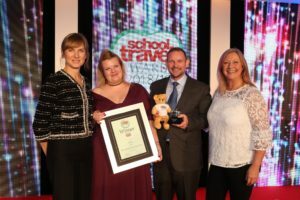 The leading youth charity scooped the accolade at the annual School Travel Awards 2018/19, the UK’s biggest event for school travel and learning outside the classroom. 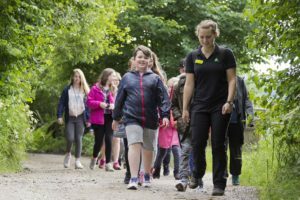 Last year almost 100,000 primary and secondary school children stayed on school trips with YHA (England & Wales). 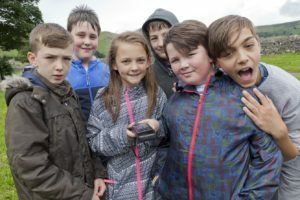 The charity operates more than 150 youth hostels through England and Wales in cities, towns, coastal and National Park locations, with more than 80 of them Learning Outside the Classroom (LOtC) accredited; the most of any UK provider. To enable schools to provide the opportunity for outdoor travel and adventure to all their students, YHA’s Educational Breaks support programme supports young people aged between 8 and 18 who are eligible for Pupil Premium and have additional social challenges. Up to 10 young people in a group can apply for a two-night supported break at a Youth Hostel. The current round of applications to YHA’s Educational Breaks programme is open until 31st January 2019.